Turner River Through to Chokoloskee Island. This experience is perhaps one of the best in the area. 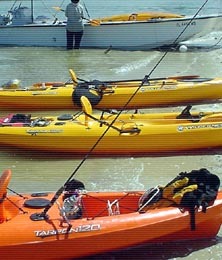 However, it is a 6-8 hour experience depending on the weather/tide conditions as well as the condition of our clients. 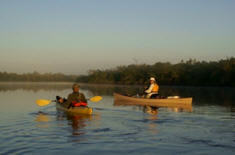 A very popular route is a paddle through the Turner River to Chokoloskee Island. You begin in the fresh water ecosystems of Big Cypress Preserve and end up in the estuarine environments of the 10,000 Islands (Everglades National Park). This is a wonderful experience but not always possible in the dryer months of the winter. 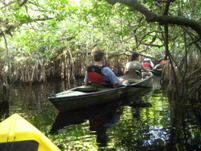 You begin your experience in the freshwater habitat of the bald cypress, river otters and alligaters and end up in the marine coastal estuaries inhabited by manatees, dolphins and sea turtles. 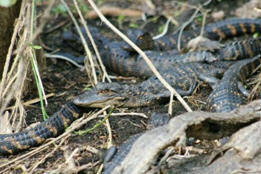 Bring you cameras, binoculars, bug spray, sun block, raingear, lunch and plenty of water for this full day experience!